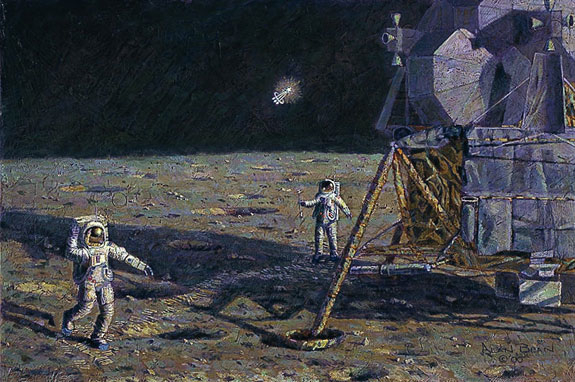 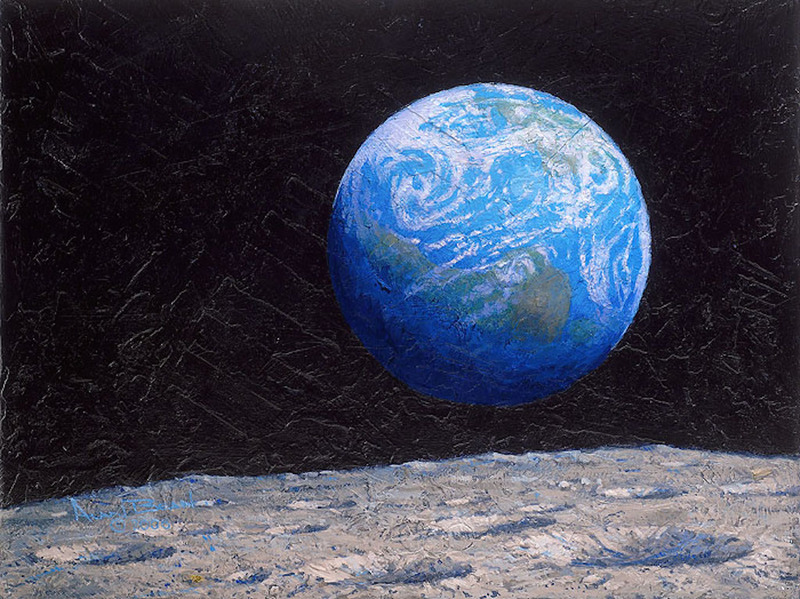 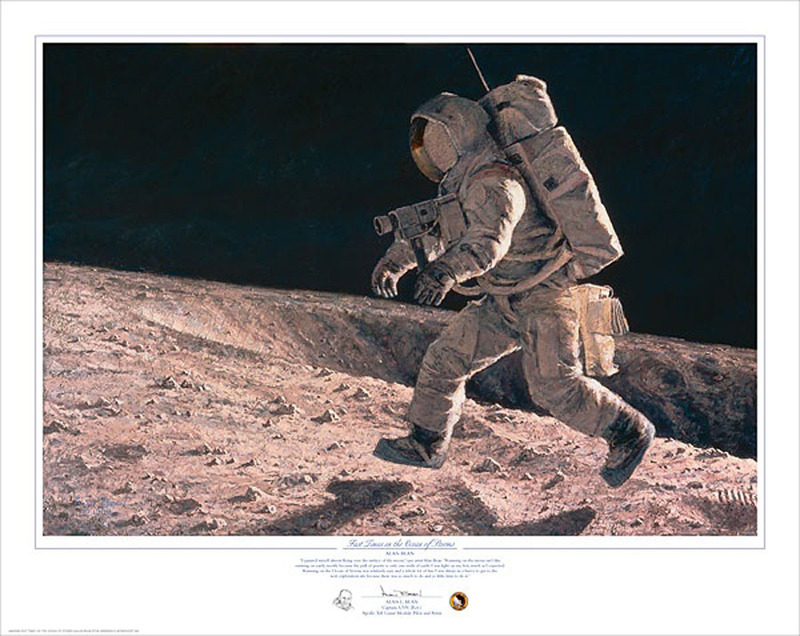 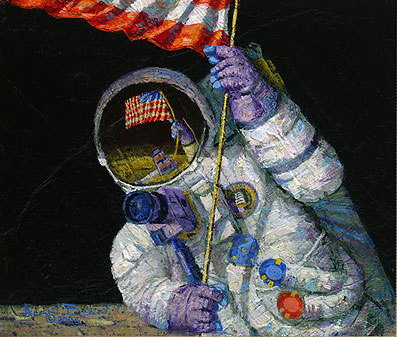 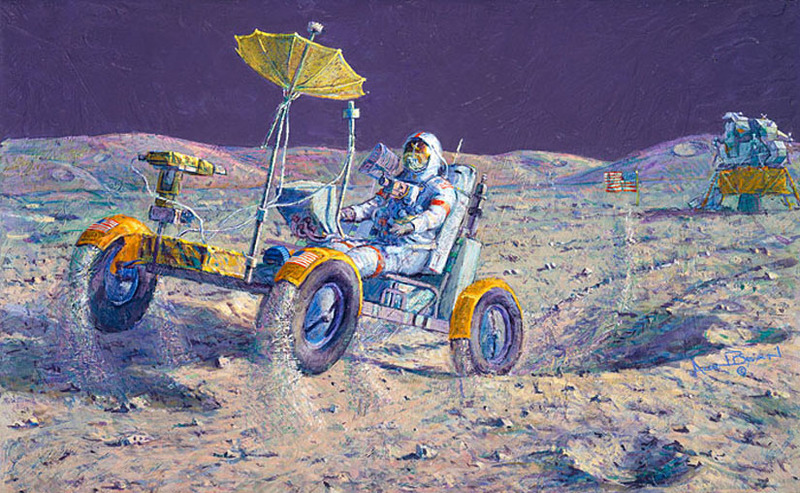 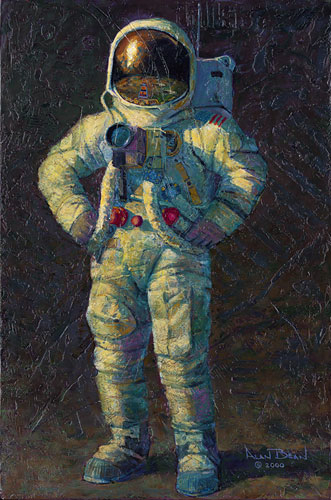 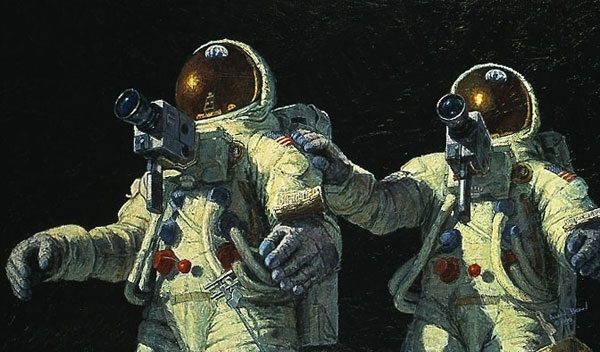 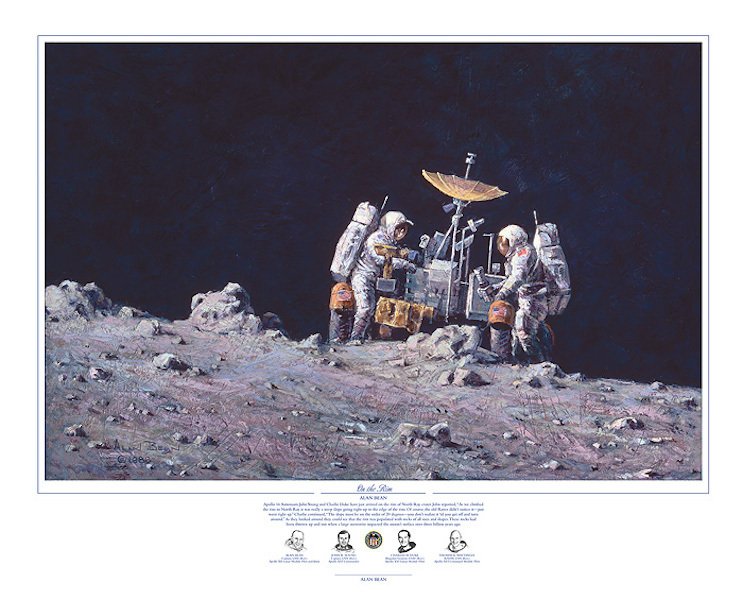 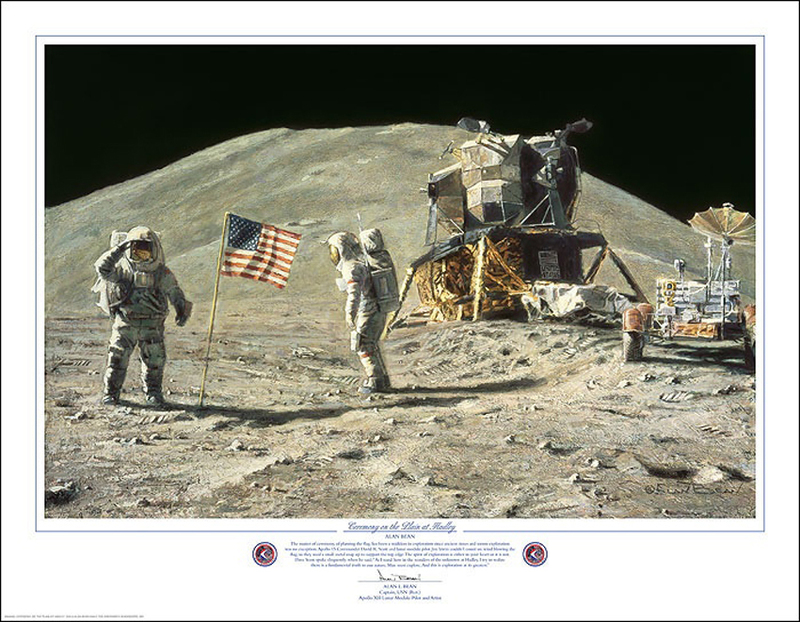 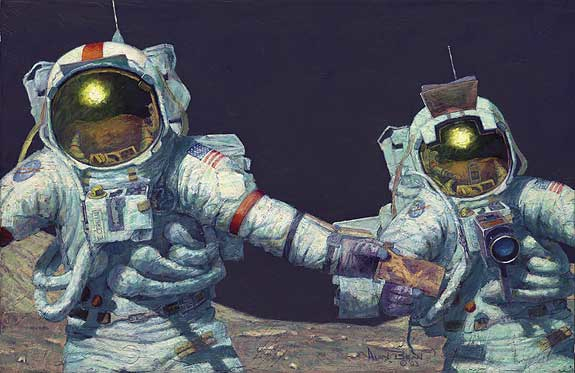 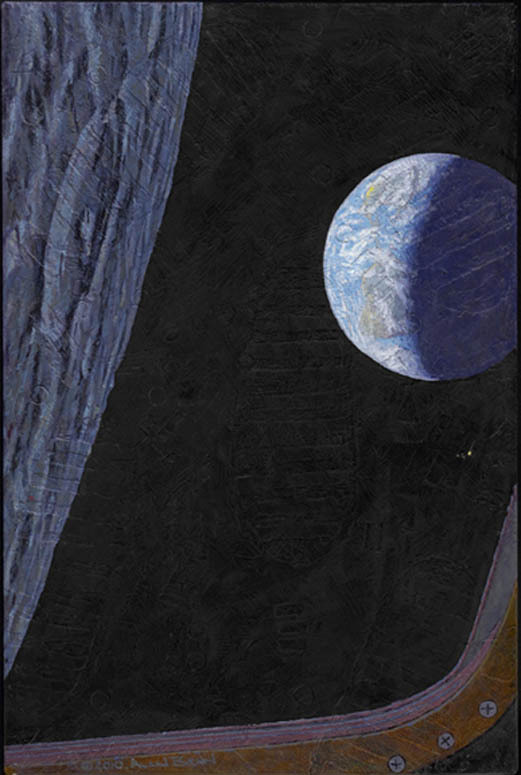 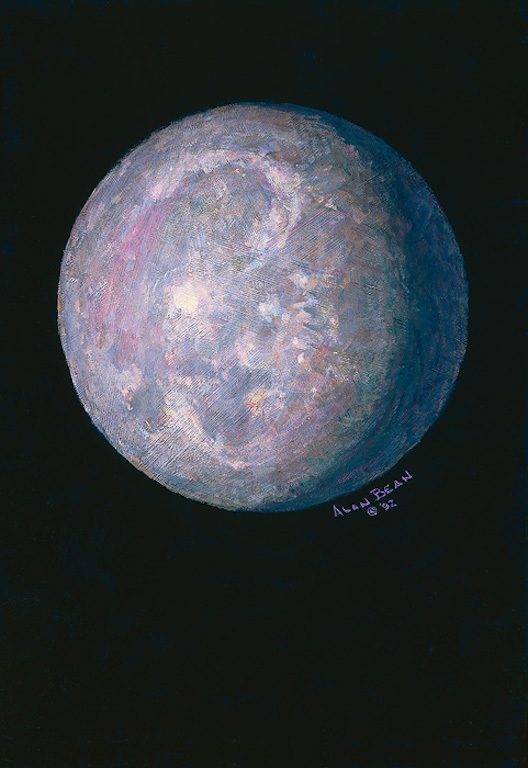 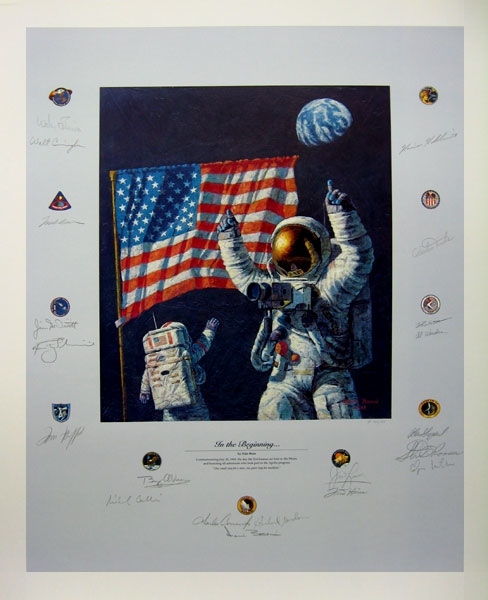 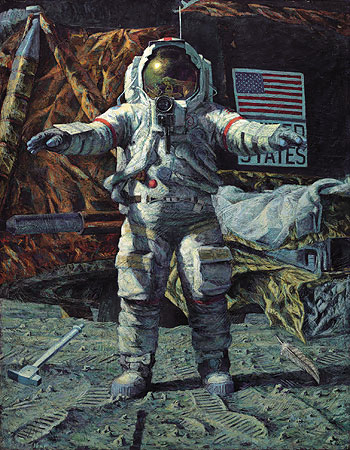 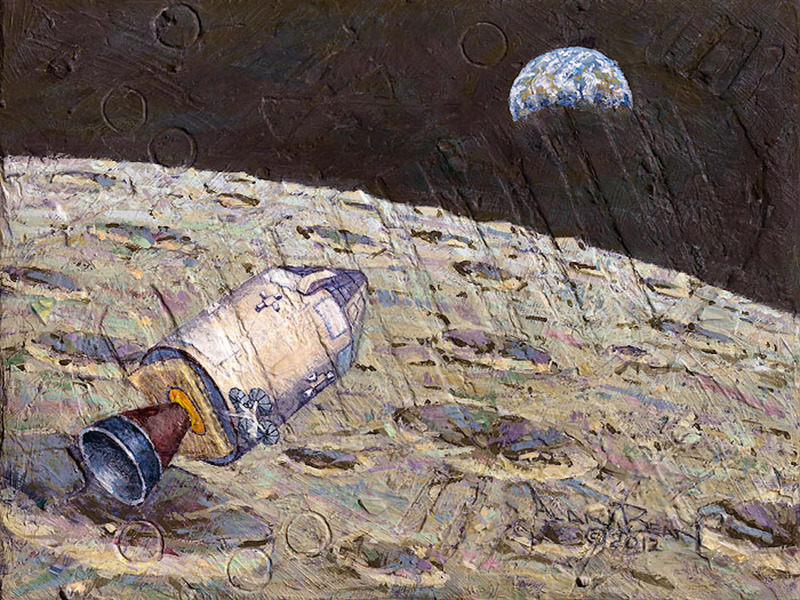 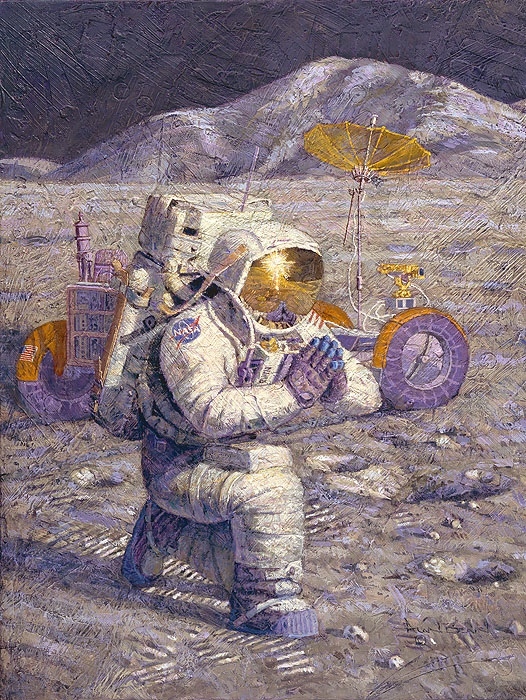 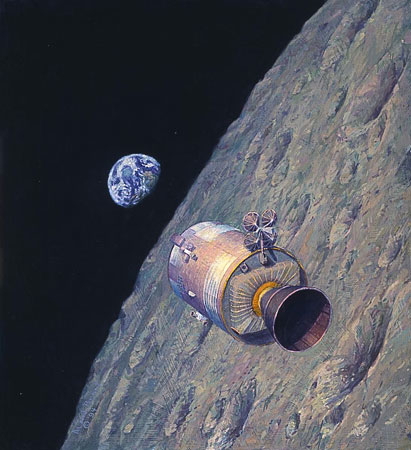 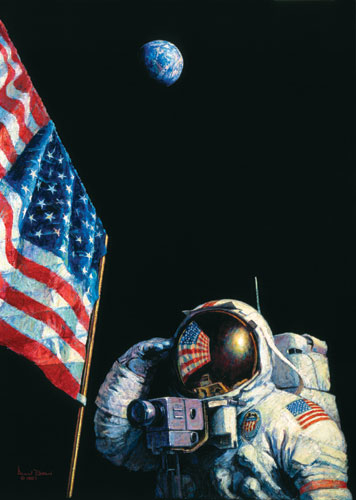 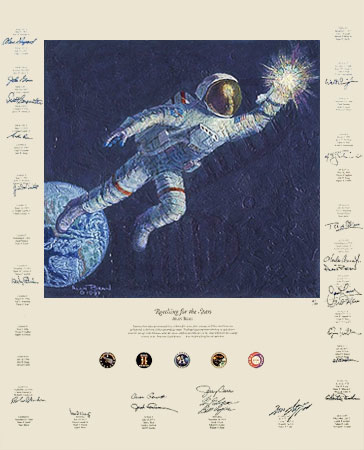 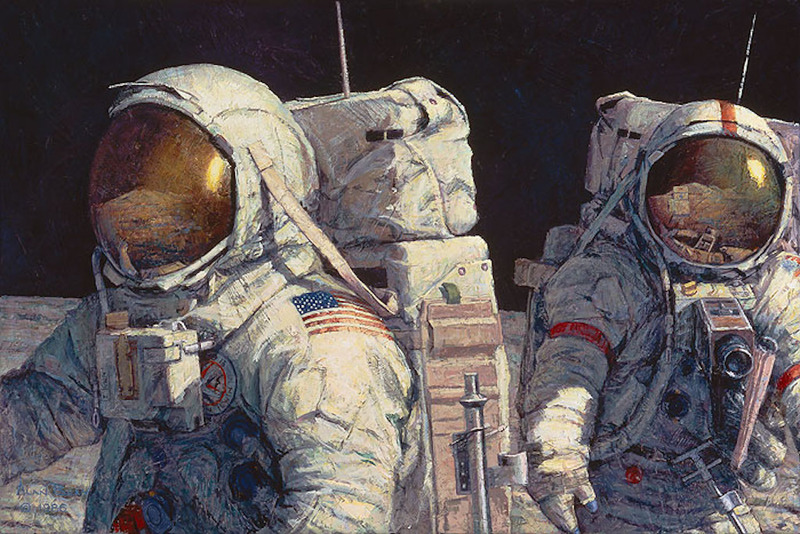 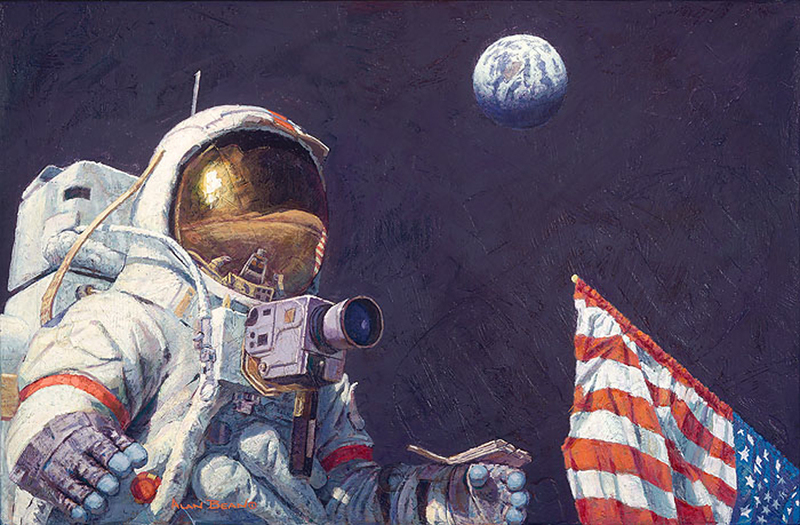 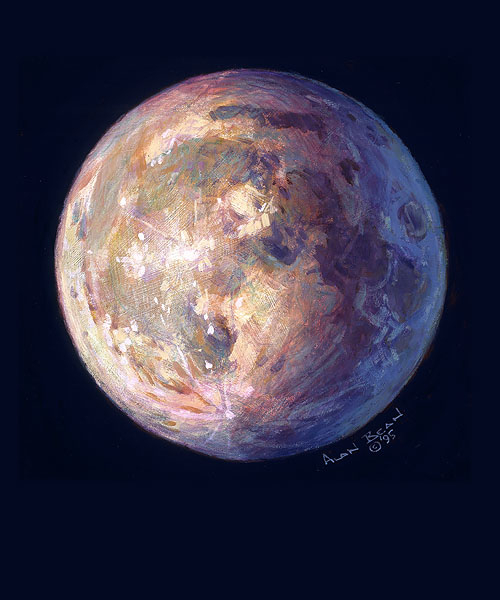 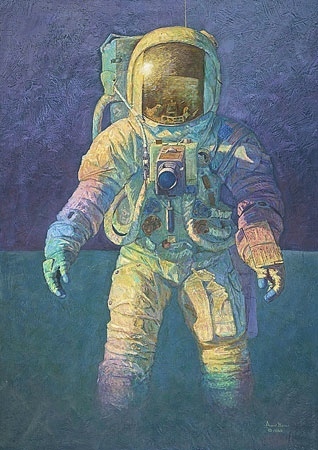 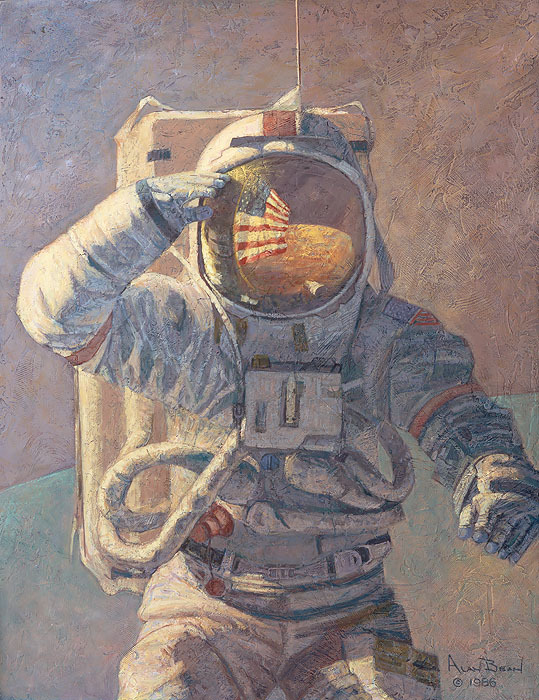 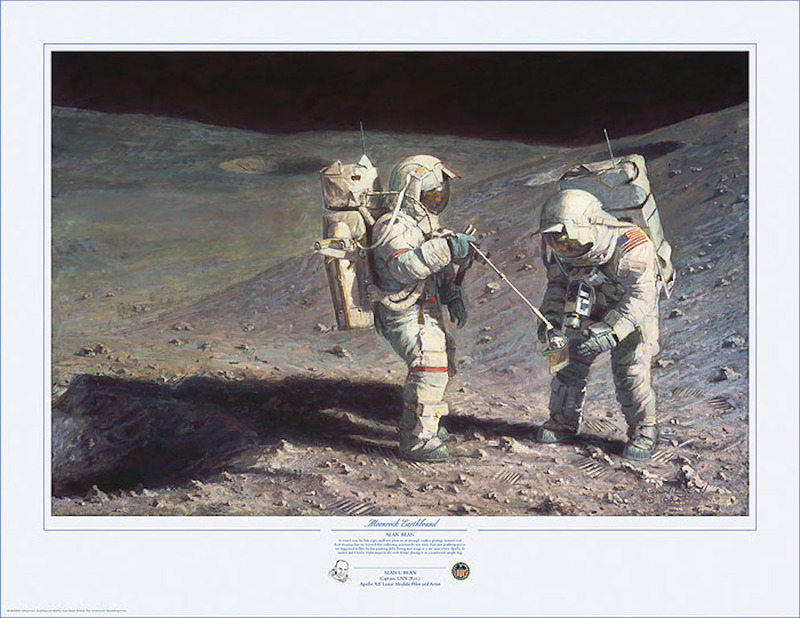 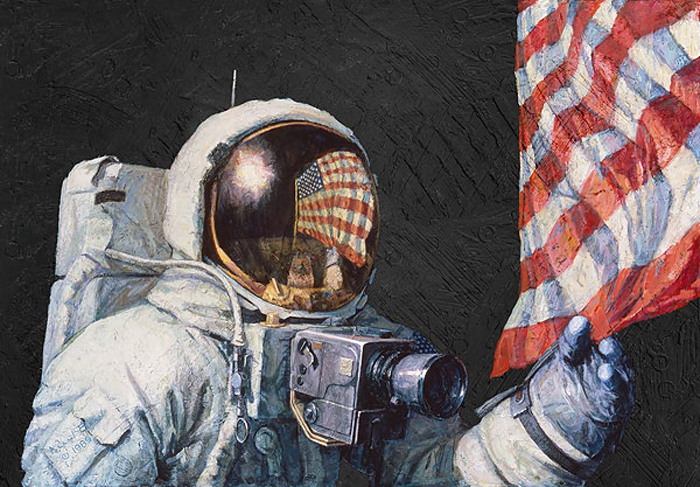 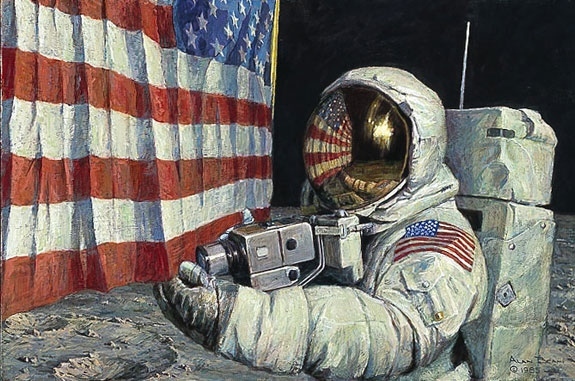 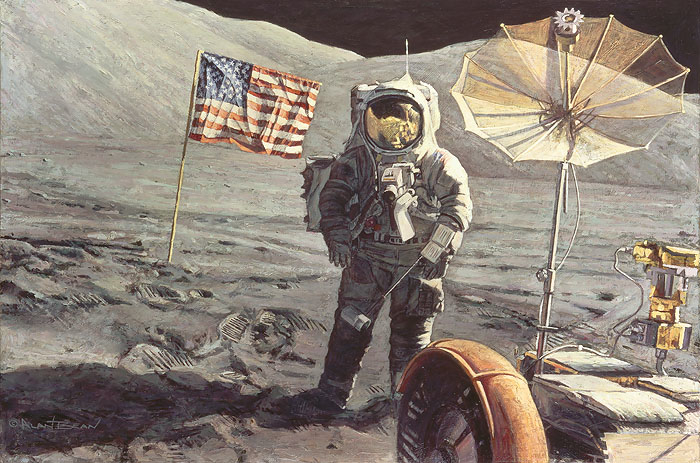 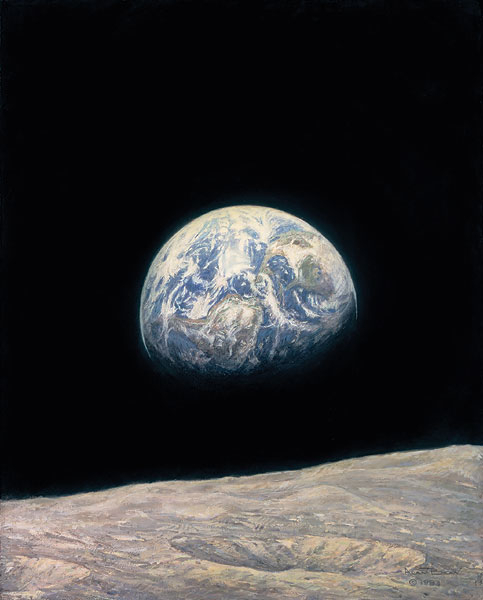 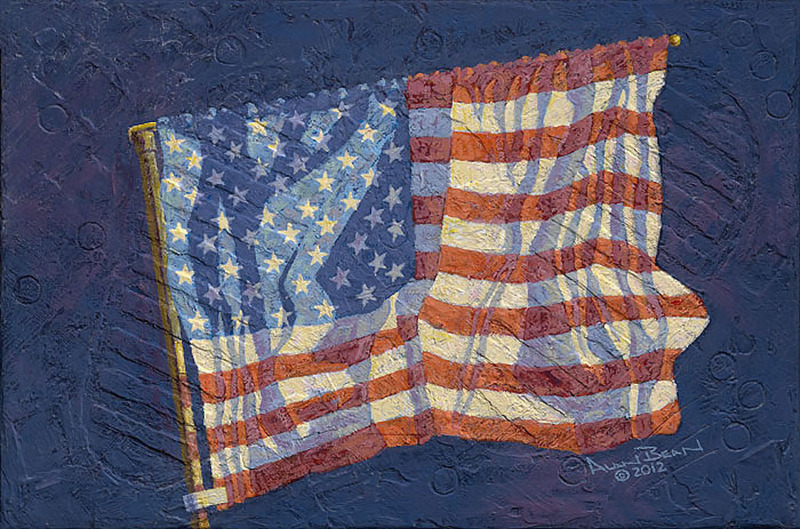 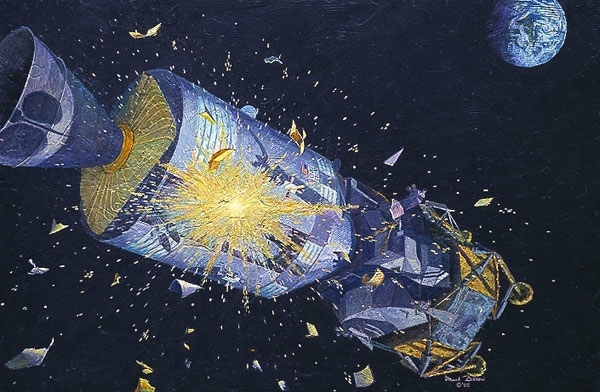 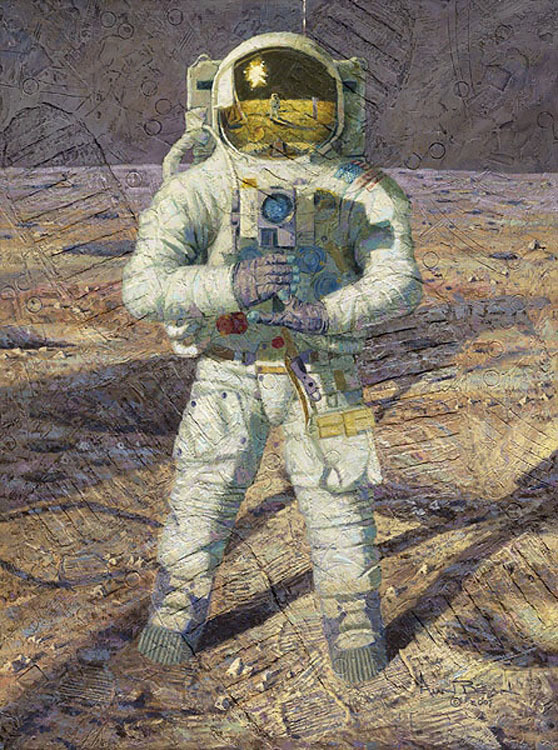 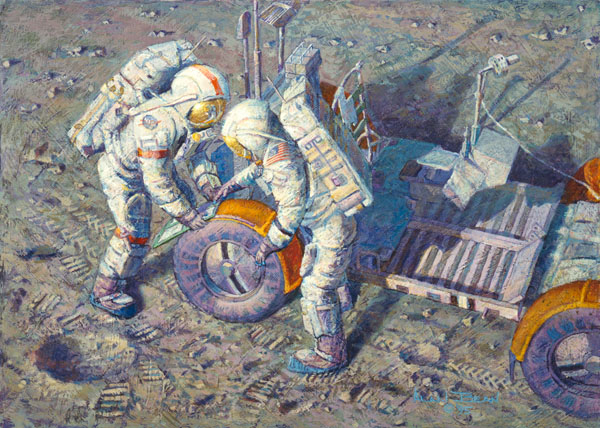 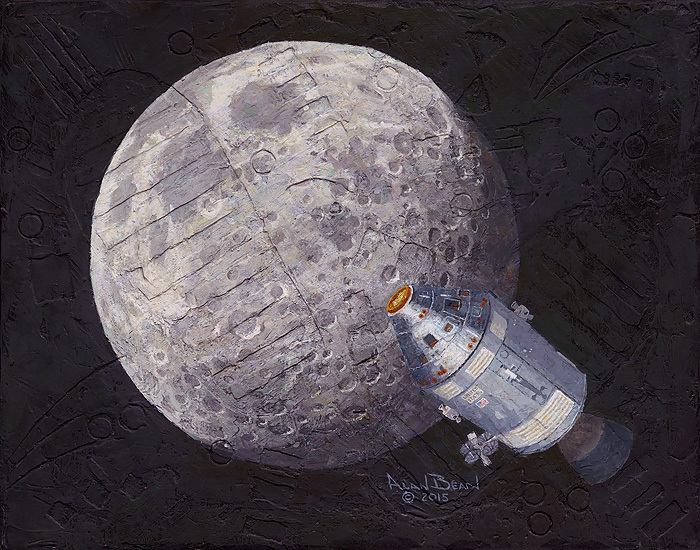 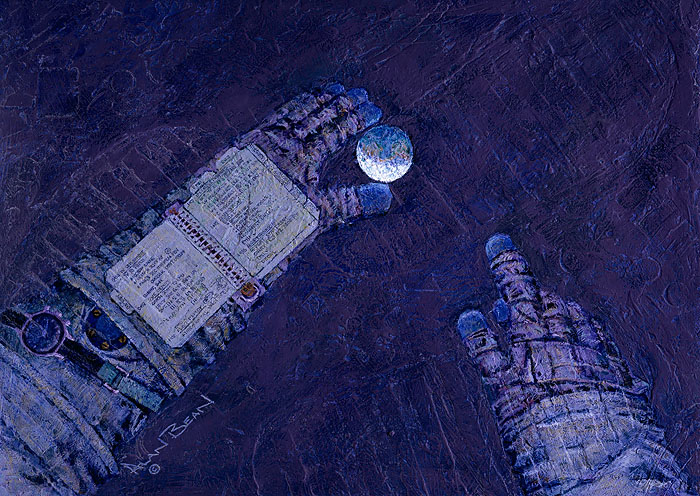 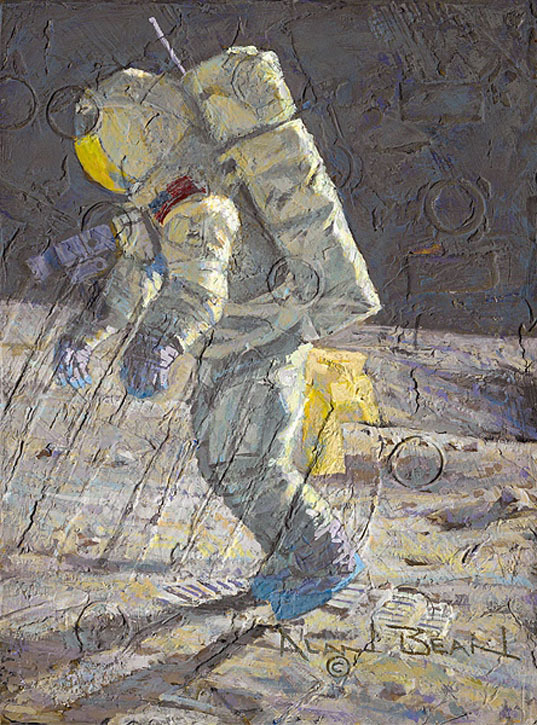 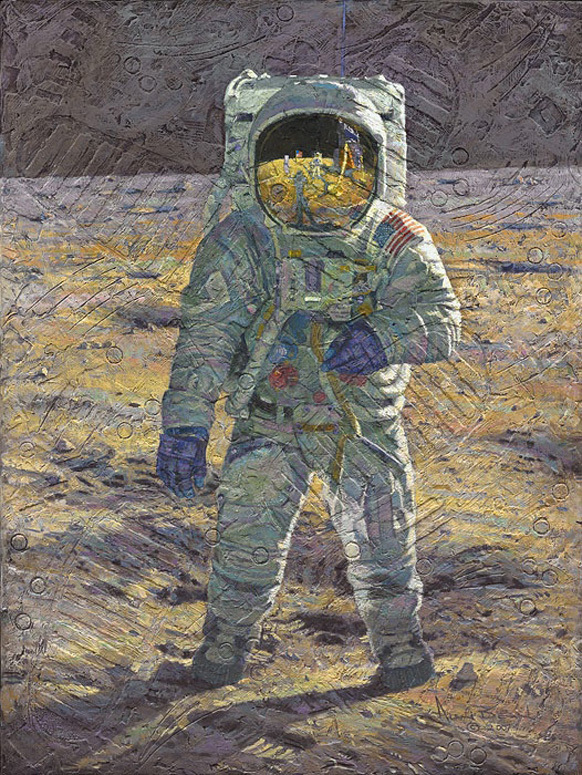 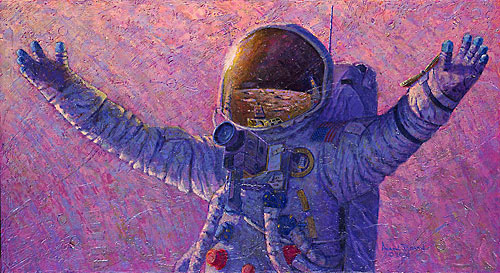 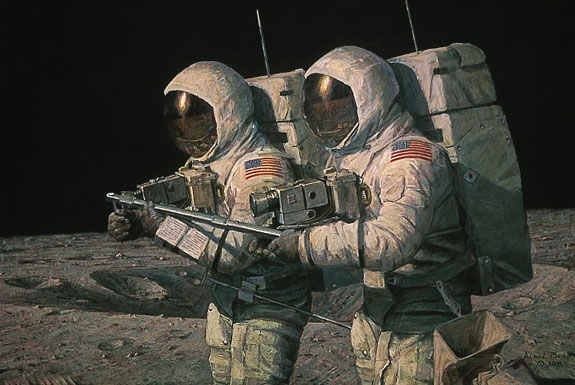 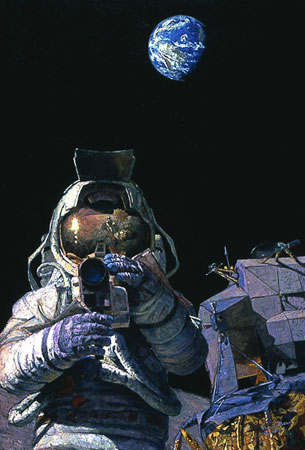 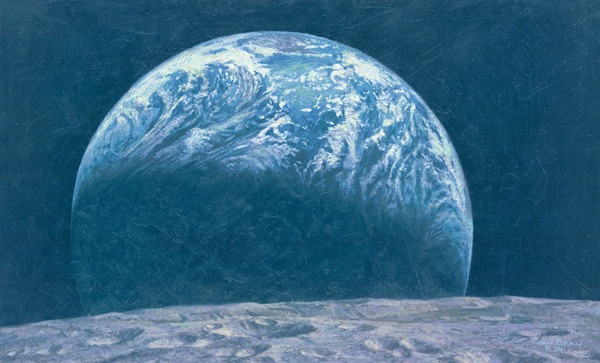 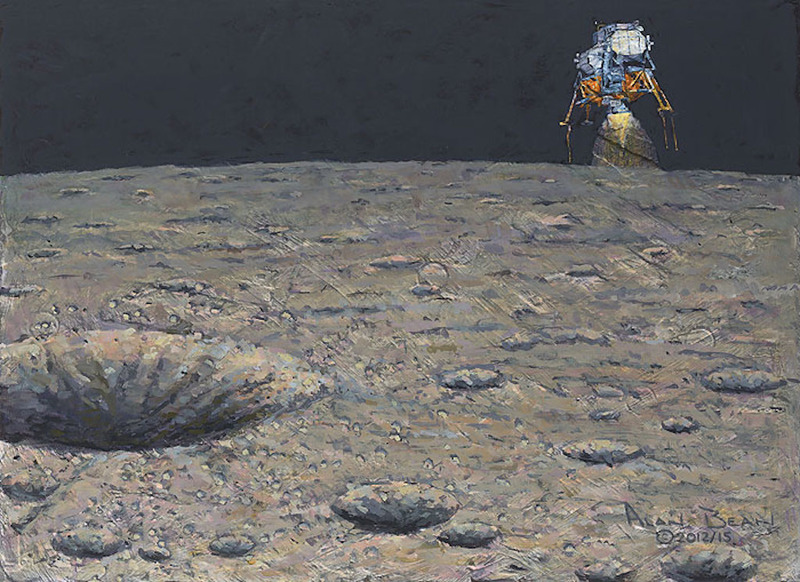 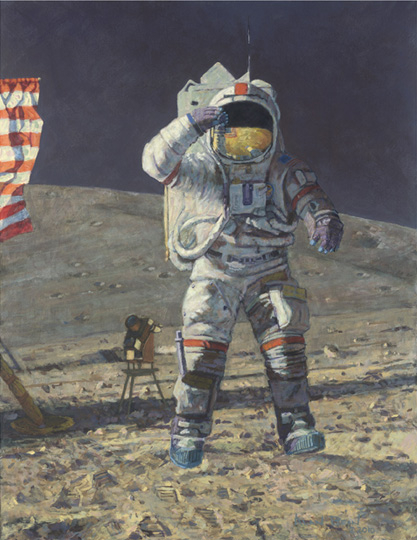 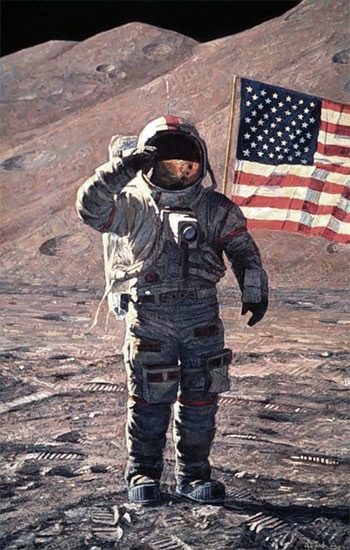 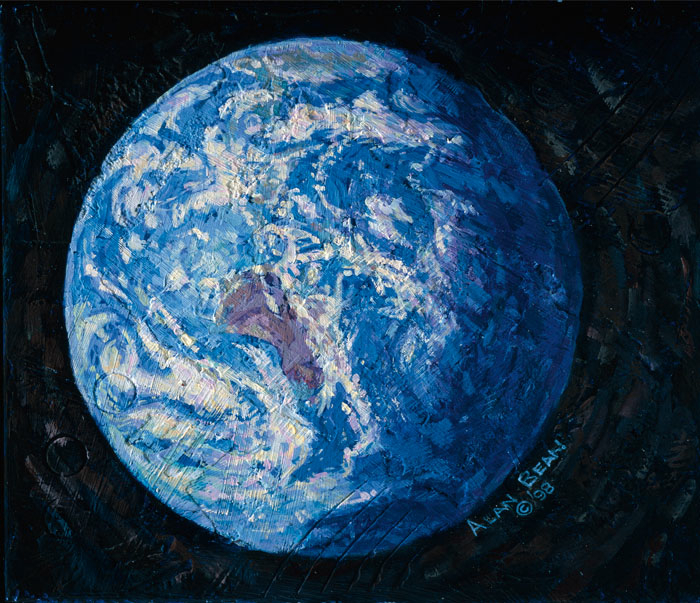 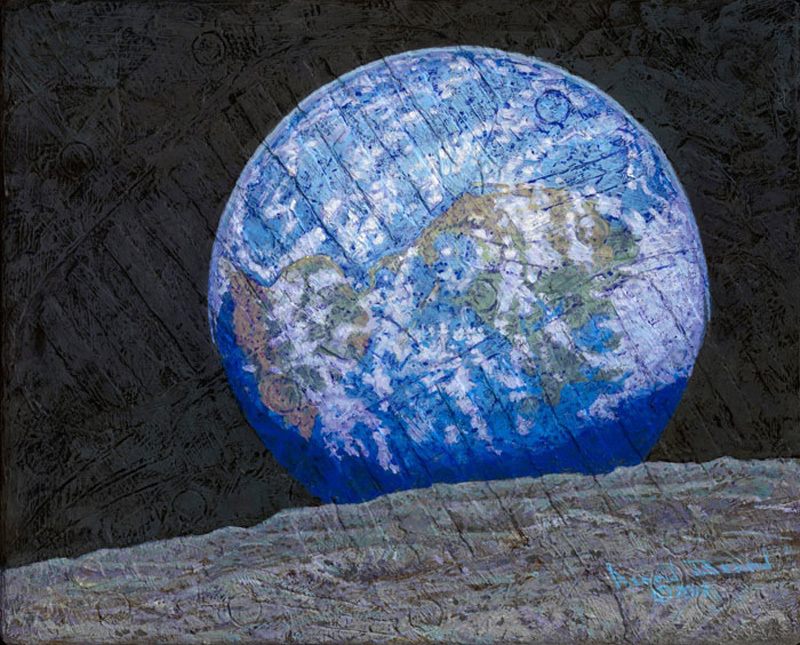 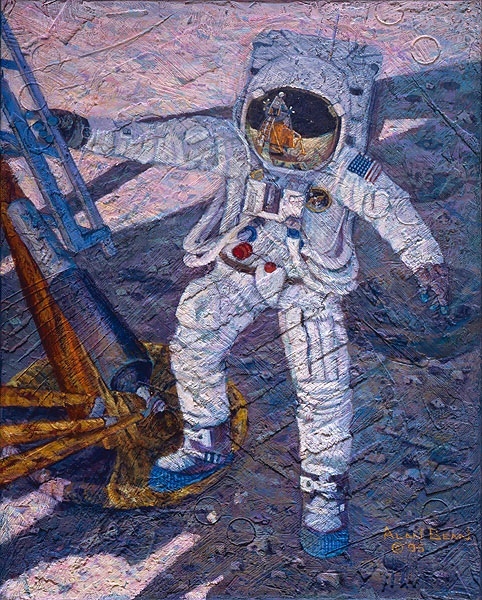 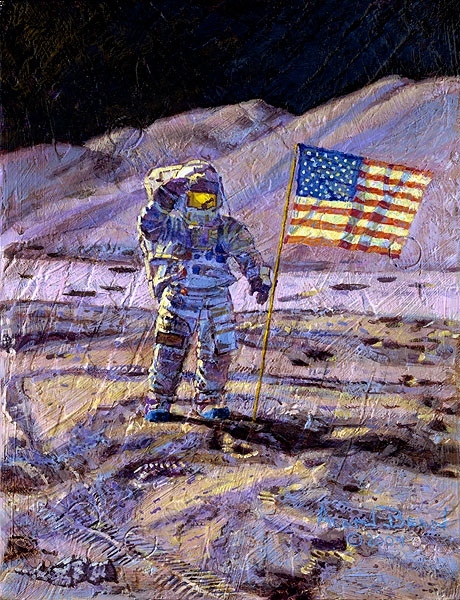 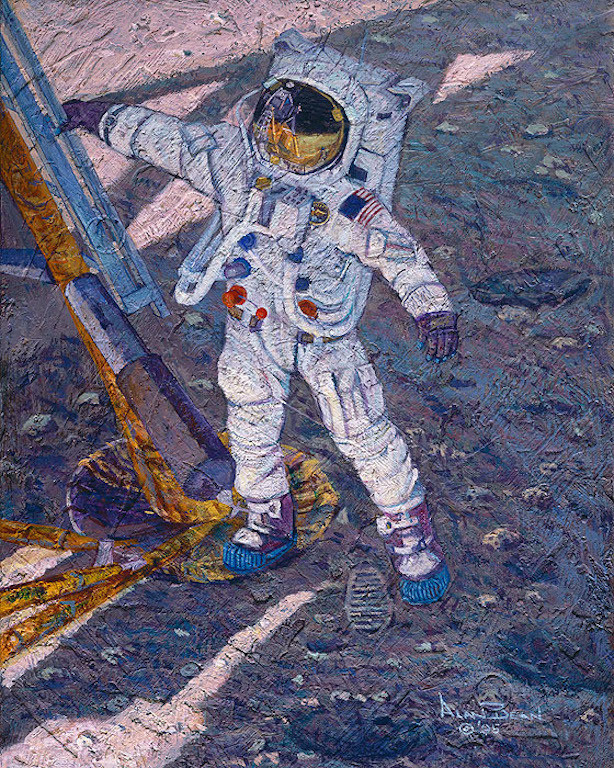 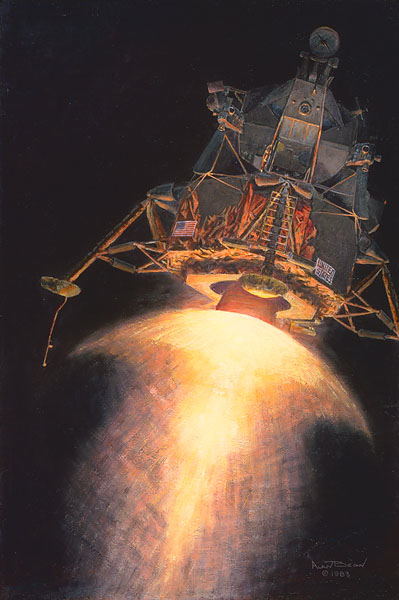 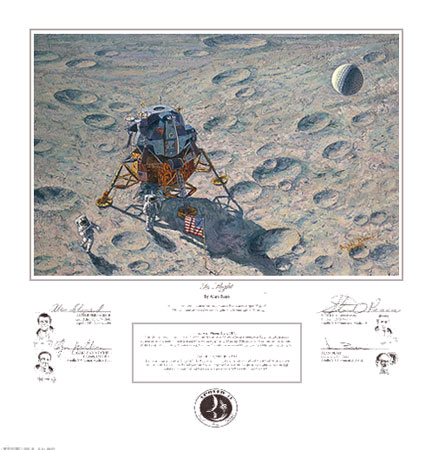 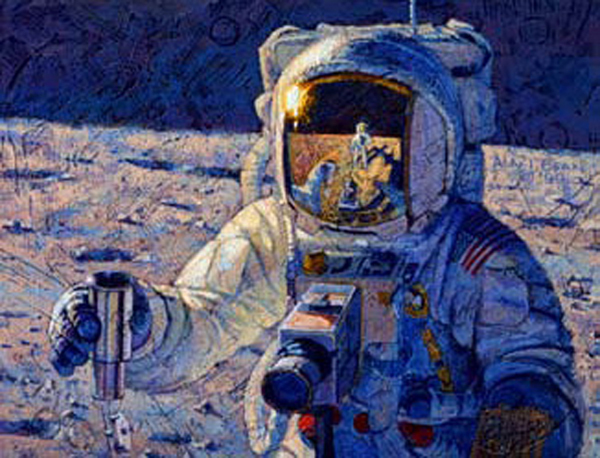 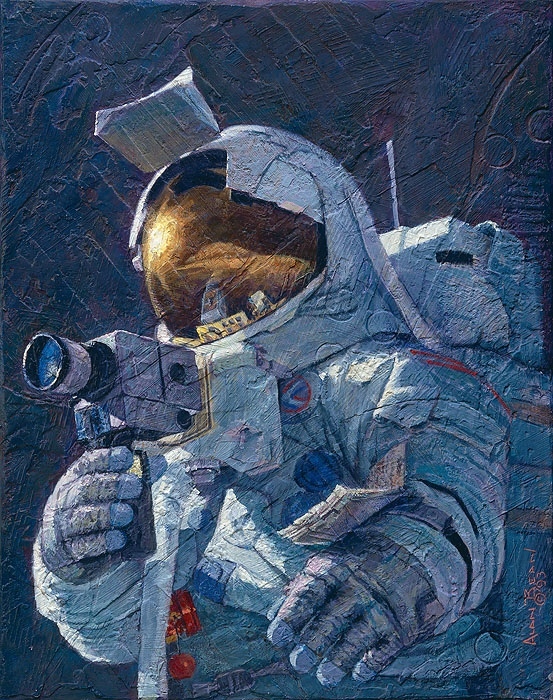 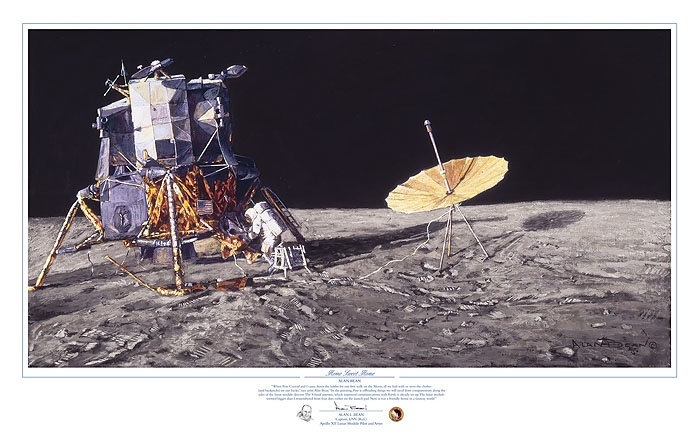 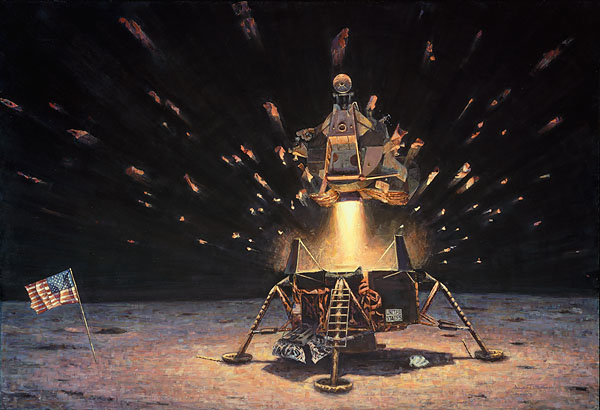 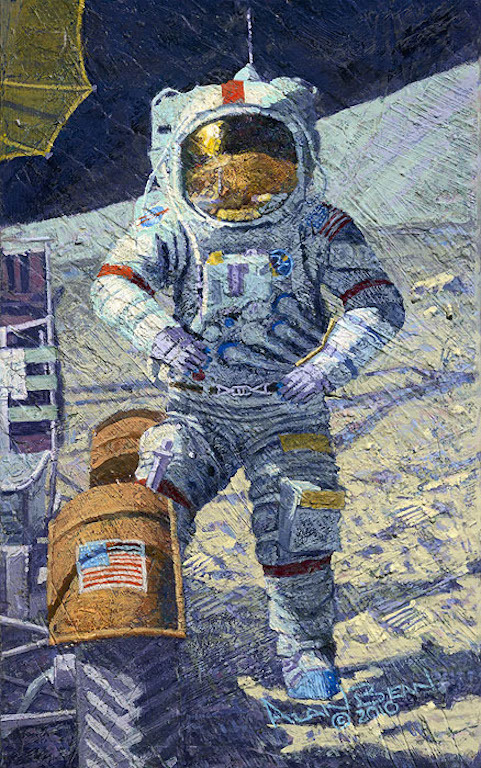 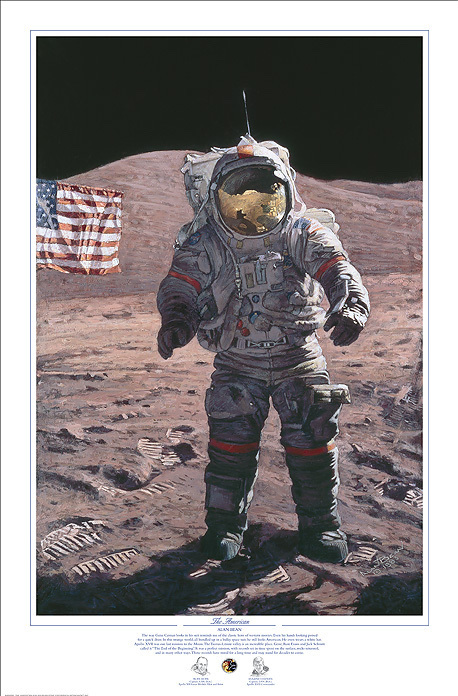 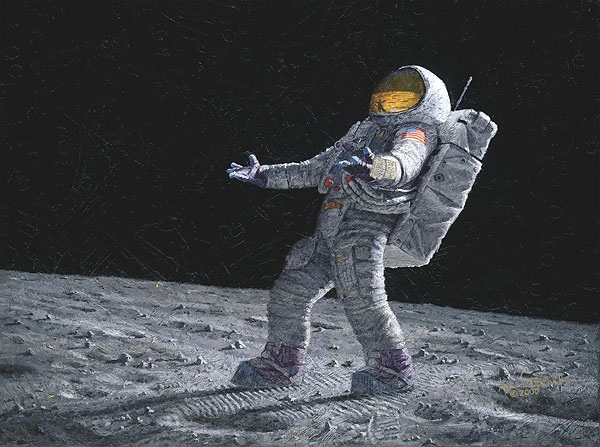 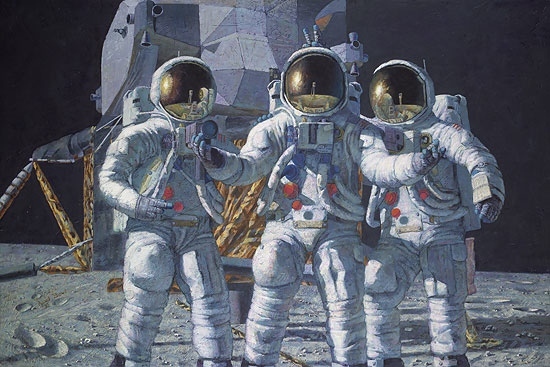 We represent the entire collection of Alan Bean. 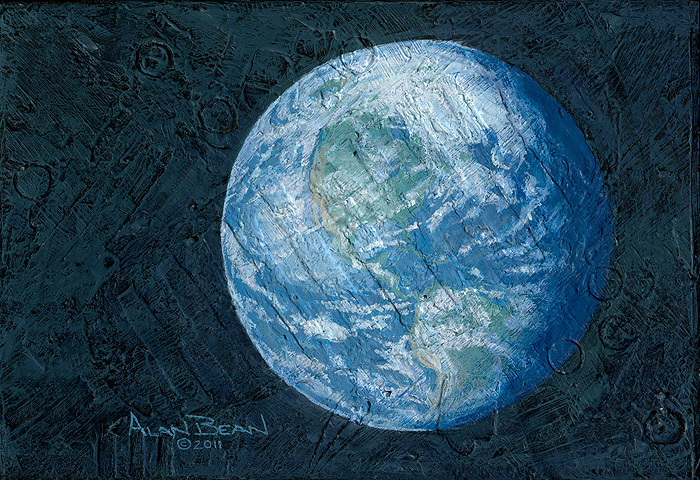 falling ill while on travel in Fort Wayne, Indiana two weeks before.“Alan was the strongest and kindest man I ever knew.
" 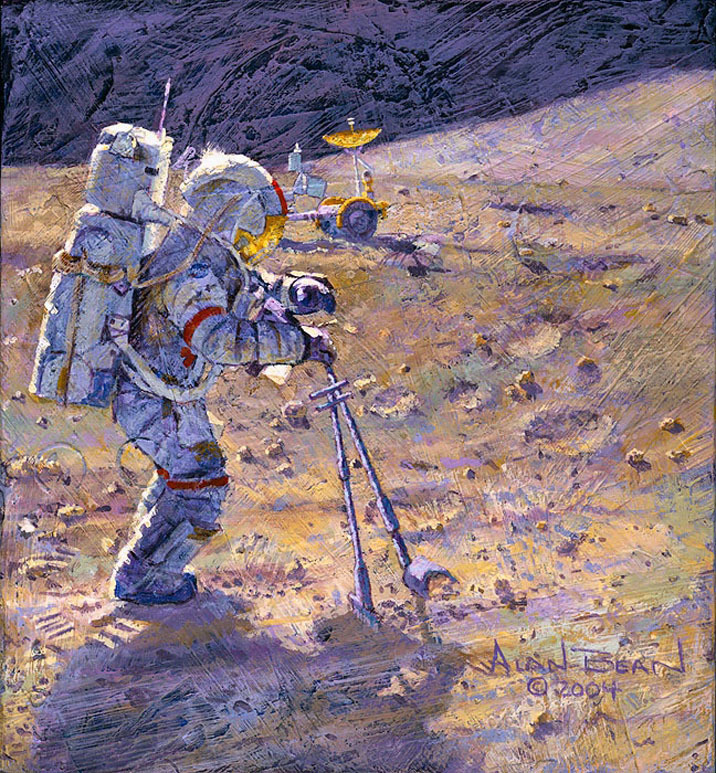 ON THE RIM "
" THIS BEAUTIFUL PLANET IS REVOLVING AROUND THE THREE OF US "
" MOONROCK - EARTHBOUND "
" OUR OWN PERSONAL SPACESHIPS "
" APOLLO 12 IS HEADED HOME "
" GETTING READY TO RIDE "
" ARMSTRONG HEADS BEYOND THE BOULDERS "
" MY BROTHER , JIM IRWIN "
" THE SOURCE OF INTELLIGENT LIFE "
" OUR WORLD AT MY FINGERTIPS "
" THE FIRST HUMAN FOOTPRINT "
" SAVORING THE MOMENT "
" WE CAME IN PEACE FOR ALL MANKIND "
" WAY WAY UP HIGH OVER PAD 39A"
" LAST MAN ON THE MOON "
EDWIN E. "BUZZ" ALDRIN "
" FIRST MEN: NEIL A. ARMSTRONG "
" CEREMONY ON THE PLAIN AT HADLEY "
" LUNAR GRAND PRIX "
" A WINDOW ON THE END OF AN ERA "
" SOME TOOLS OF THE TRADE "
" BEYOND A YOUNG BOY'S DREAM "
" ONE LUCKY GUY "
" A NEW FRONTIER "
" FENDER LOVIN' CARE "
" A JEWEL IN THE HEAVENS "
" IS ANYONE OUT THERE "
" THE EAGLE IS HEADED HOME "
" JOHN YOUNG LEAPS INTO HISTORY "
" A MOST BEAUTIFUL MOON "
" A GIANT LEAP "
" JIM IRWIN, INDOMITABLE ASTRONAUT "
" RED, WHITE AND BLUE "
" A FIRE TO BE LIGHTED "
" AN AMERICAN SUCCESS STORY "
" AMERICA'S TEAM...JUST THE BEGINNING "
" RIGHT STUFF FIELD GEOLOGISTS"
" THE HAMMER & THE FEATHER "
" STRAIGHTENING OUR STRIPES "
" KISSING THE EARTH "
" REACHING FOR THE STARS "
" HOUSTON WE HAVE A PROBLEM "
" IN THE BEGINNING... "
TO WALK ON THE MOON "
Receive info on new Alan Bean releases.